Methodists and Baptists began the national camp meeting movement around 1800, following British examples. In the United States, widely dispersed settlers traveled and camped to hear itinerant preachers. The movement gained popularity after the Civil War, with the desire to escape rapidly growing urban and industrial regions. Tens of thousands attended the first meetings in New Jersey, Pennsylvania, and New York. 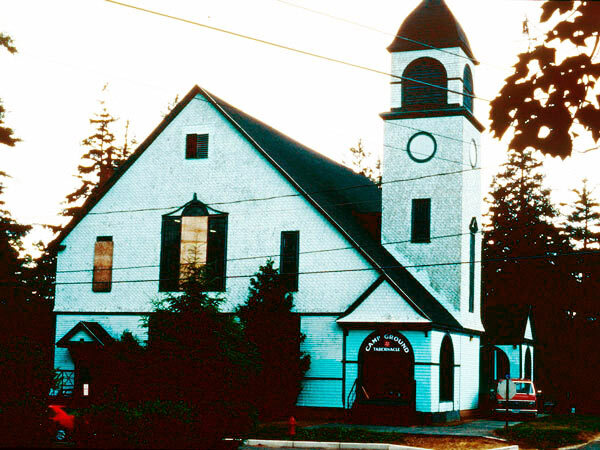 Methodists founded the Old Orchard Beach and Camp Meeting Association in 1873. A year later, the National Temperance Camp Meeting Association was formed there, using the holiness camp meeting idea to promote temperance throughout New England. 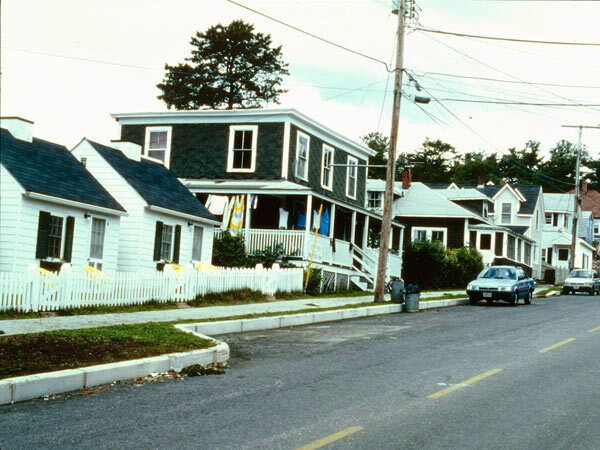 In 1880, the Association designed a subdivision on 300 acres of oceanfront land, creating one of the largest proposed subdivisions in Maine; over 1,800 cottage lots were arranged in a grid perpendicular to the ocean. 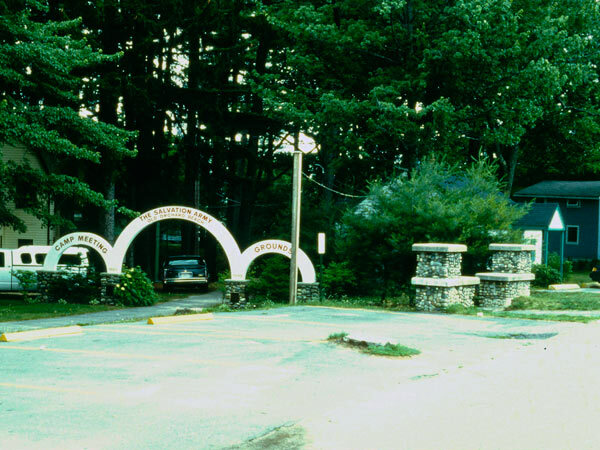 An additional 400 campground lots, each 20-feet square, surrounded an ornate gazebo and stage set in a mature pine grove. Up to 7,000 visitors sat on wooden benches that were built around the pines’ trunks. Roughly 50 acres were designed as parkland with carriage drives and walking paths. The plan included a depot for the Boston & Maine Railroad, which opened its Old Orchard line in 1873. About three-quarters of the subdivision was built according to plan (a few hundred cottage lots were never developed, most likely due to steep terrain; the area remains wooded). 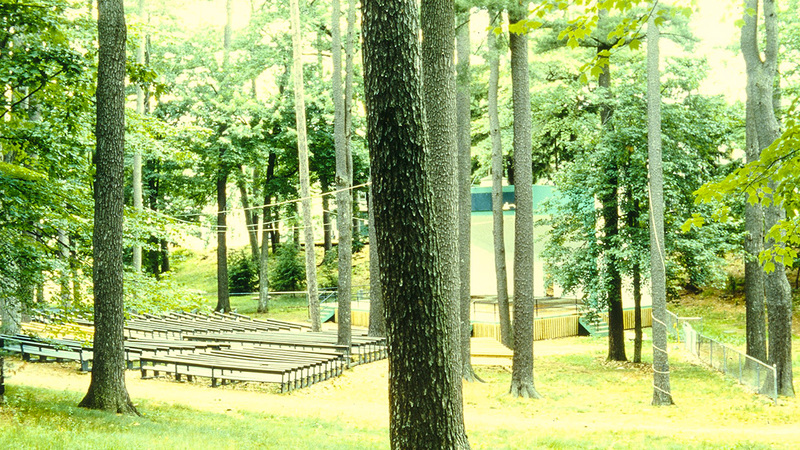 The Salvation Army owns the grounds of the original camp meetings and continues the historic use, now in the Pavilion, a contemporary concert venue that replaced the original gazebo in 1998. Outdoor seating remains, although many pines were removed to protect the historic buildings. The surrounding tent lots are home to tightly packed cottages along narrow lanes. 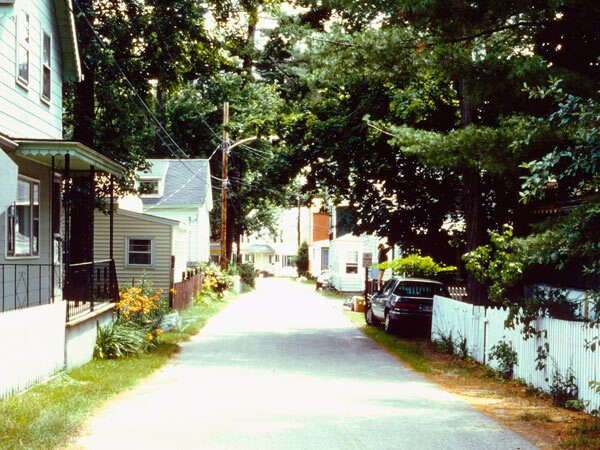 Streets away from the campground include a wider mix of historic and contemporary cottages, although not every lot is occupied. The 50-acre park was never developed and is home to a contemporary subdivision and condominiums. 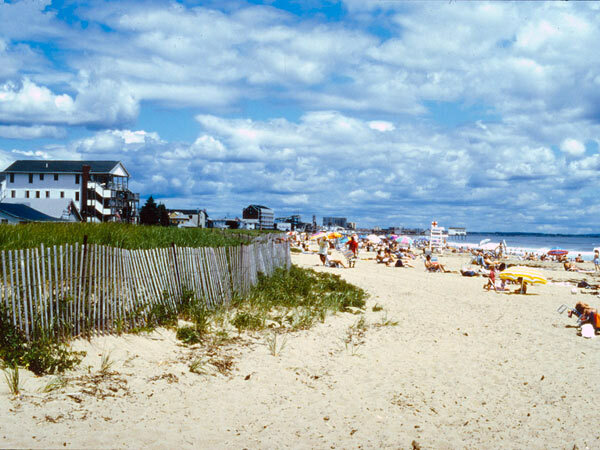 Amtrak railroad continues service to Old Orchard Beach, a recreational destination since the 1830s.